it is the best kind of help the able-bodied poor can receive. it is a hand up, not a hand out, which encourages industry and thrift to help one’s self toward a better life through honest work. this type of investment in the poor preserves dignity, greatly reduces the possibility of unintended consequences (such as dependency mentalities in beneficiaries, superiority complexes in donors, or artificial modifications of local market economies that hurt the poor first), offers choice in how income and profits are used to benefit the individual and the family, and builds long-term, win-win relationships that can sustain the income generation. the income received by each cultural artisan has a trickle-out effect, spreading the benefits of the social enterprise to entire communities and economies. from the household of the cultural artisan pieces of this income are distributed to: extended family through contributions to funerals, weddings, urgent medical needs, etc…; community in the form of school fees, market purchases, religious contributions, or visits to the health clinic; local economy in the form of supply chain purchases for raw materials used in building the traditional instruments, secondary labor to drivers, tailors, blacksmiths, and sales persons (one djembe drum contributes income for up to 35 different parties within the supply chain!). the non-profit volunteer directors are also doing the social enterprise work, and depend on it’s success to continue to volunteer. because the promise to donors is that the social enterprise’s income would cover the time and overhead in administrating the charity, the director’s ability to continue to run the charity depends on how profitable the social enterprise is. there is a self-interested mechanism whereby the non-profit administrators are motivated to work for the financial success of the social enterprise because their own livelihoods depends on it, thus ensuring top effort is being given to building and sustaining the livelihoods of the artisans as well. so long as the non-profit administrators are keen to keep volunteering and doing the charity work, the cultural artisans and their families will benefit. through their works, the cultural artisans are an integral and vital part of the humanitarian work being done to benefit their fellow countrymen. the artisans and the administrators are partners and colleagues in bringing about positive change, and both are stakeholders in making a difference for good. job satisfaction among cultural artisans increases as they become aware of their contribution to making the non-profit a success. this is completely voluntary income redistribution from the wealthy to the poor. bi-lateral (country to country) and multi-lateral (multi-national organizations to one country) aid depends on forced income redistribution through taxation, which can build resentment by the taxed, and reduces the need for accountability by those administering the aid because the “taxpayer” typically doesn’t have enough knowledge to demand accountability for their aid dollars spent. this results in bloated and corrupt “aid” programs that do very little to accomplish much good in changing the circumstances that create and maintain poverty. in fact, if poverty were eliminated those who run the global aid machine would be out of a job; out of self-interest there is an implied motivation to make sure the structures that create and sustain poverty remain functional. but our model – the voluntary exchange of goods and services between the rich and the poor through the medium of our social enterprise – creates satisfaction on both sides of the deal because there is freedom of choice. it also creates efficiency in the process of helping the working poor because the infrastructure is already created and paid for through the partnership. 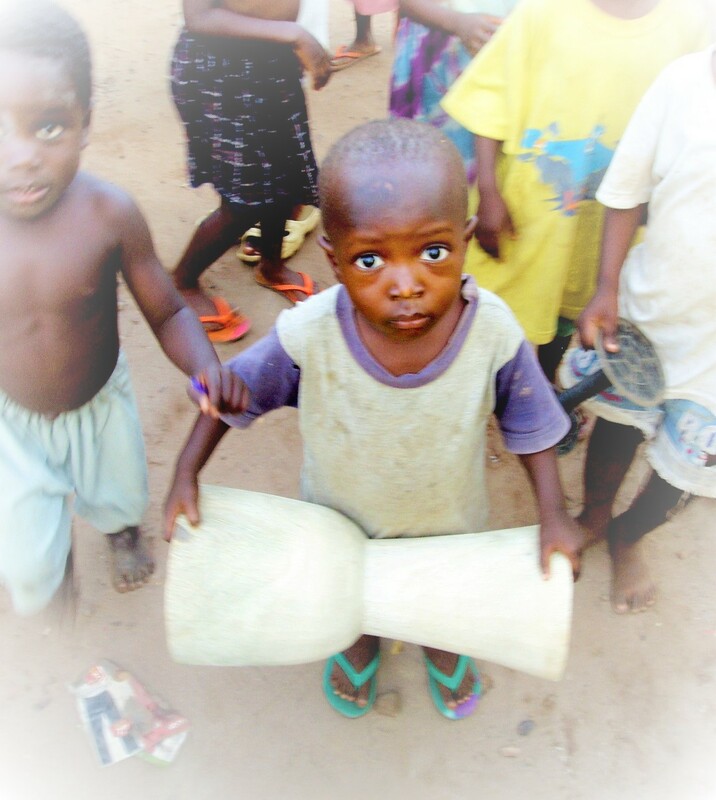 it is preserving traditional rhythmic arts in developing countries by keeping them relevant in today’s economy. when cultural arts are not intentionally preserved by government programs (paid for with taxes, which doesn’t exist in most developing countries) or by special interest groups (usually paid for by grants that support those that care about preserving these dying arts), they will become forgotten because they are not relevant to the modern or upcoming generation as a whole. by linking traditional arts – such as drum carving, and drum playing – to the modern economy they are being kept relevant, which has the biproduct of preservation. thanks for being an important part of it! To learn more about the fine world percussion instruments made by Africa Heartwood Project cultural artisans, and for links to purchase online, please browse our online market.